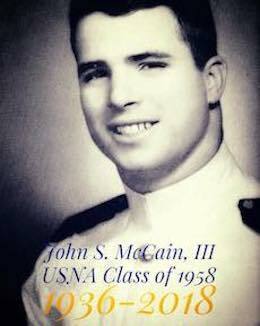 The Naval Academy is mourning the loss of one of its most distinguished graduates, Senator John McCain, USNA ‘58. His life of service to our country is a legacy that will continue to be revered. Rest in Peace. You served your country honorably.